All of the items in the Tack Shop are ready to be shipped. The quality is equal the custom items and there's no wait time. Check frequently - we're always making something new! 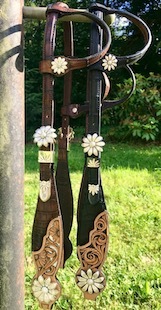 This headstall features "blued" background sterling silver hardware. 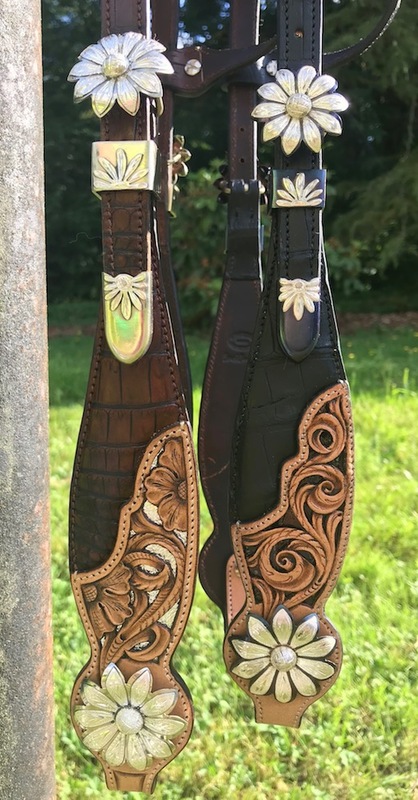 The leather behind the filigree portion is mahogany colored patent leather with a gator type pattern. 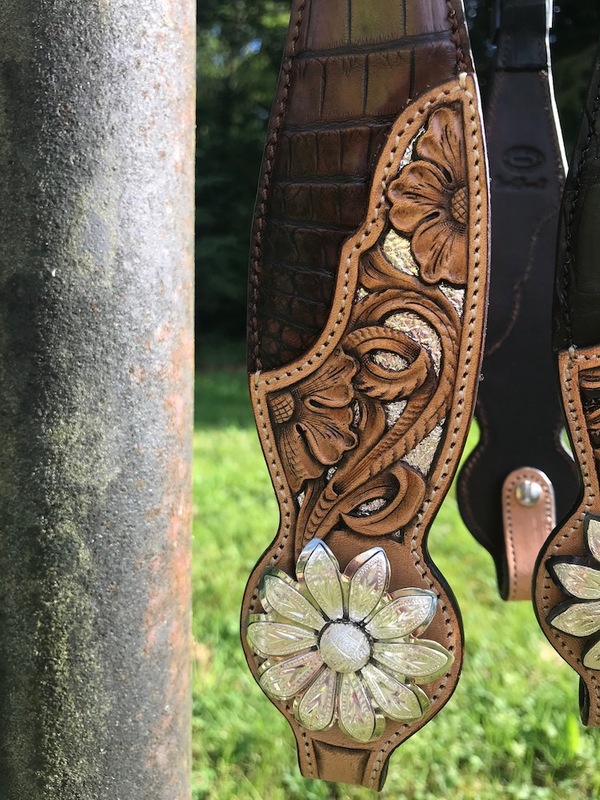 This headstall features sterling silver over silver base hardware. The leather behind the filigree portion is silver foil lamb.